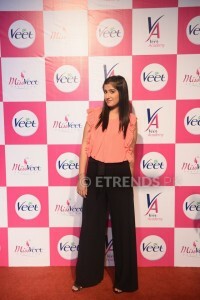 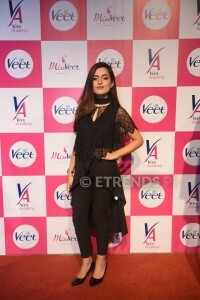 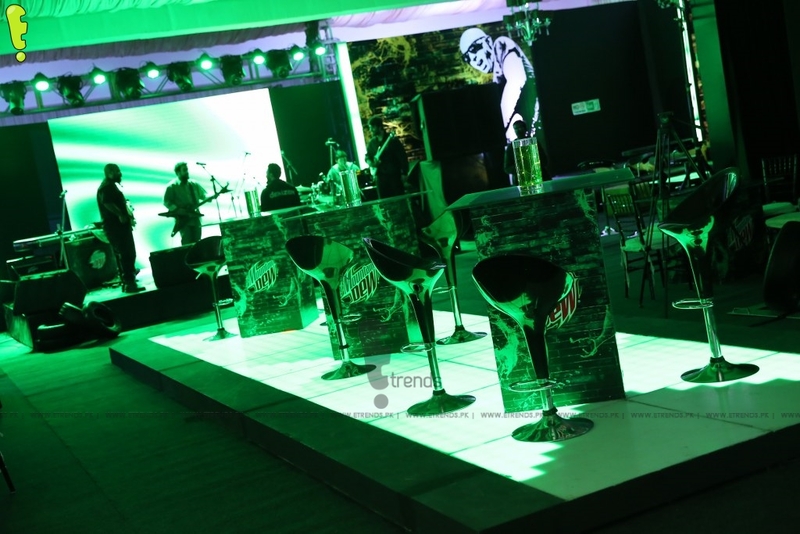 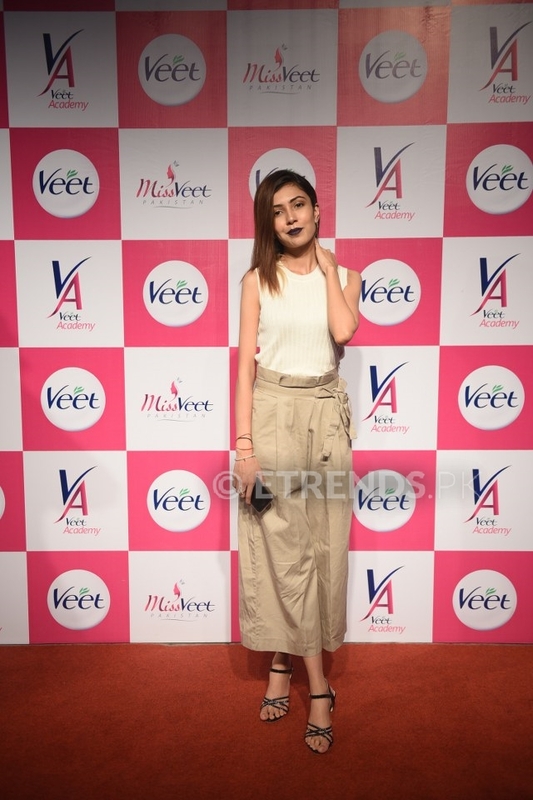 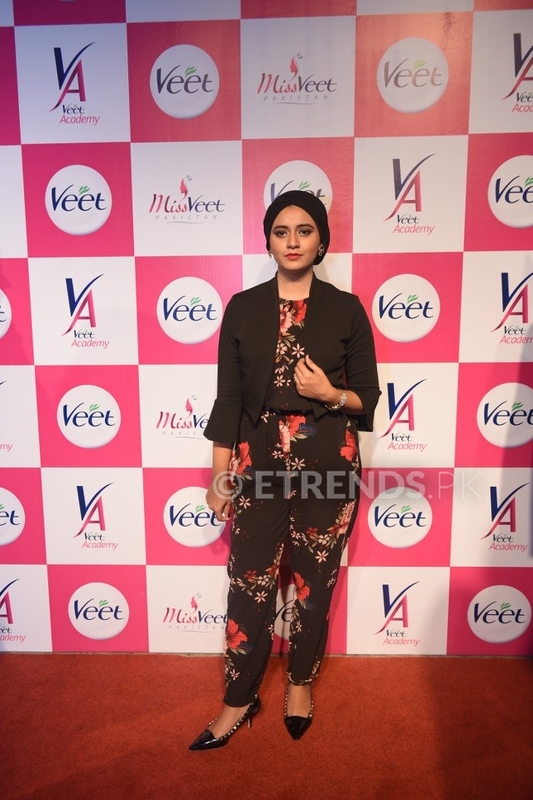 The Big Reveal of the final Miss Veet Pakistan contestants of the year was a glamorous evening soiree at the lush green lawns of happening Café Ambrosia. 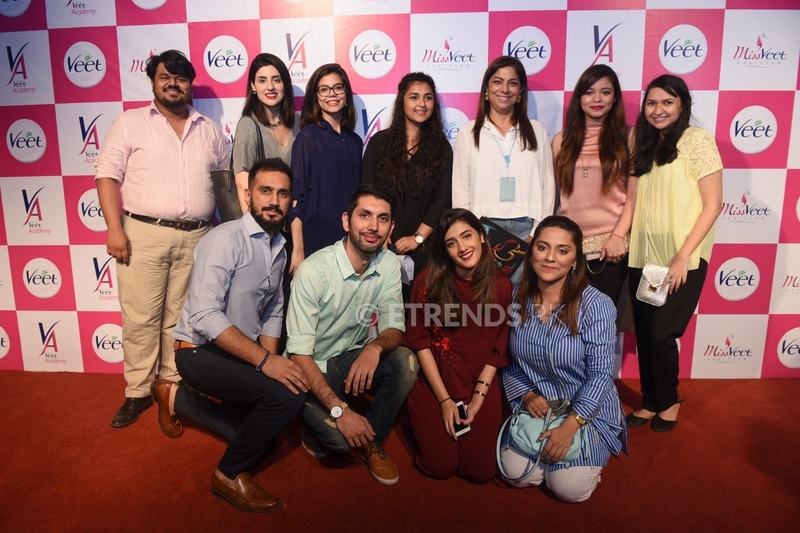 Media personnel and well-known celebrities milled around the new Miss Veet girls, anticipating the reveal of the twelve finalists of Pakistan’s most famous reality show. 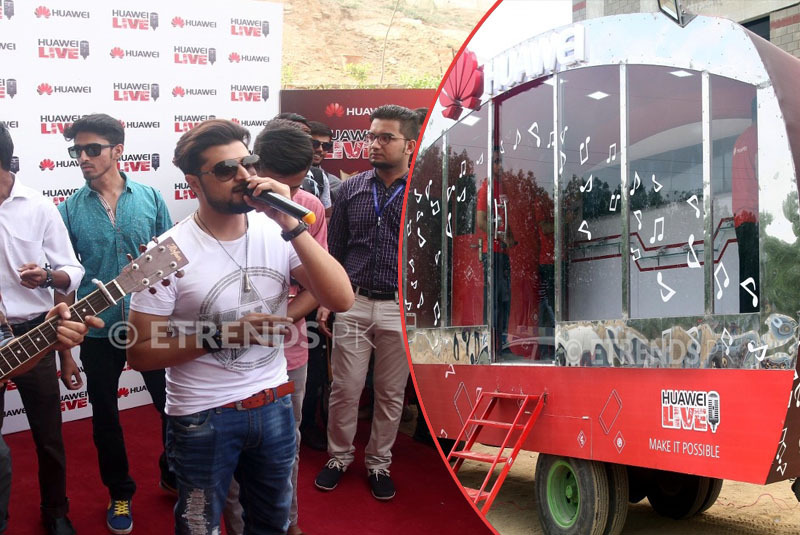 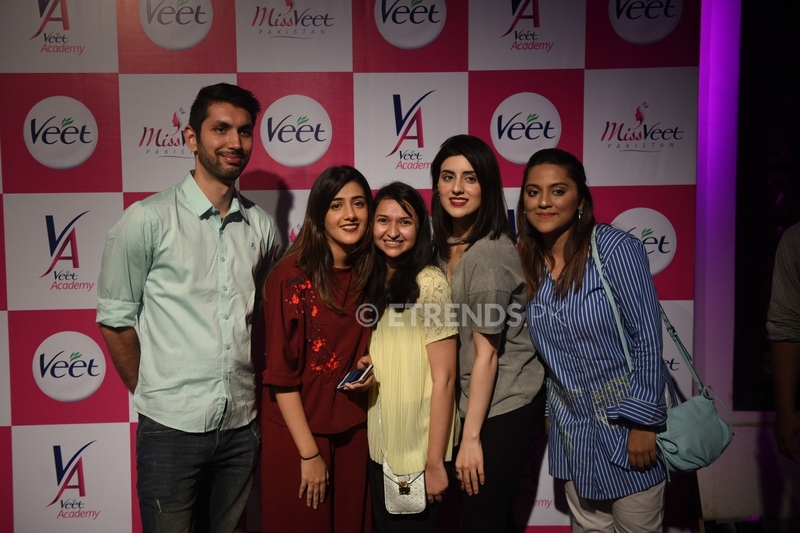 The annual reality show, upholds the values of the Veet Academy and serves as a grooming platform for young girls all over the country. 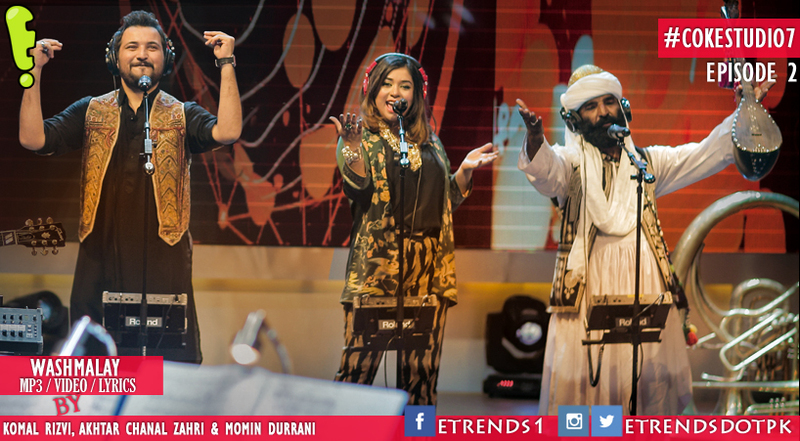 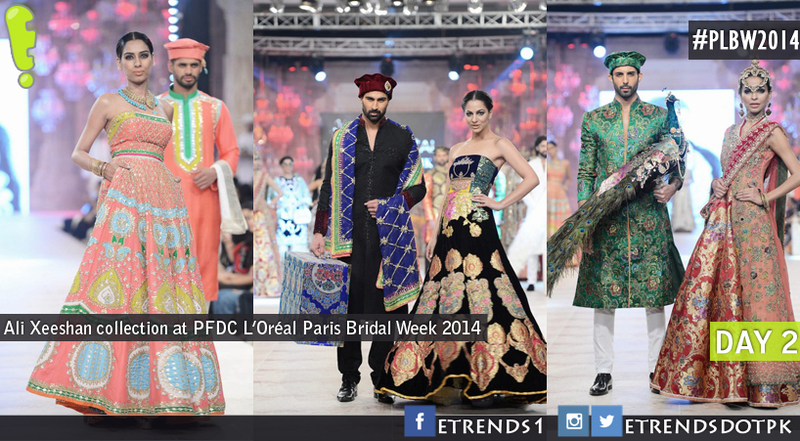 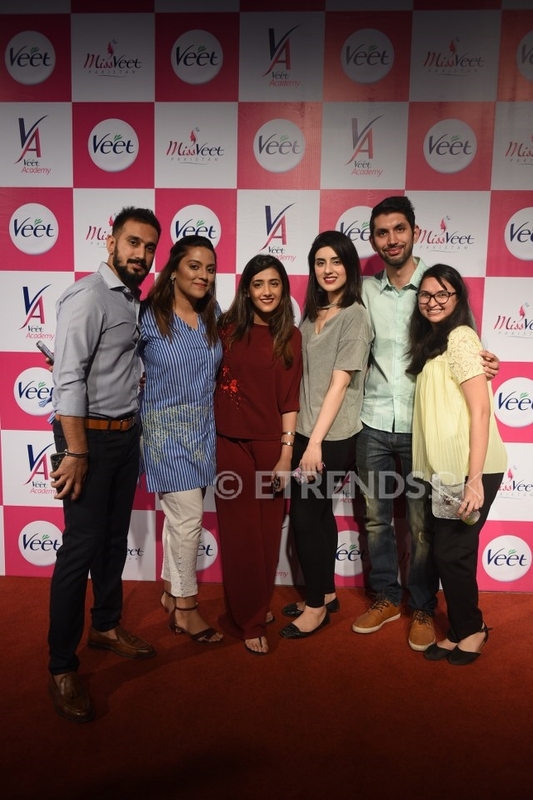 The winning finalists were, Fakiha Ahmed, Kanza Khan, Mariam Sheikh, Misbah Baloch (Karachi). 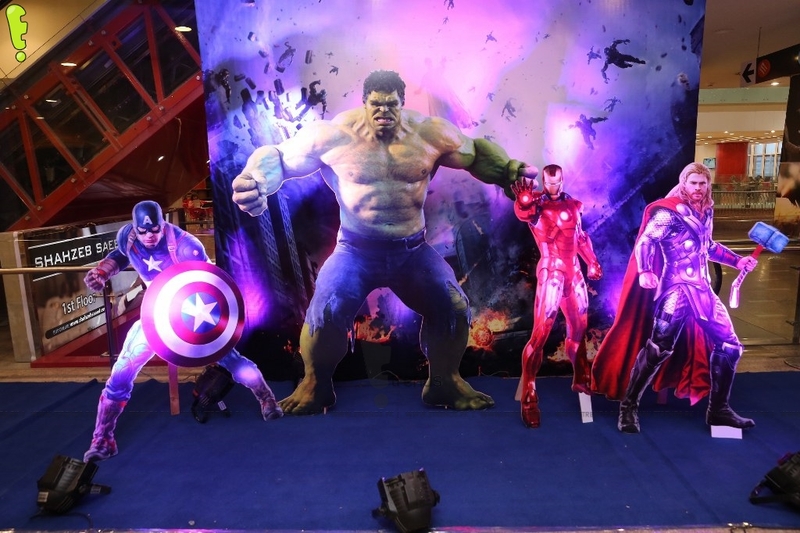 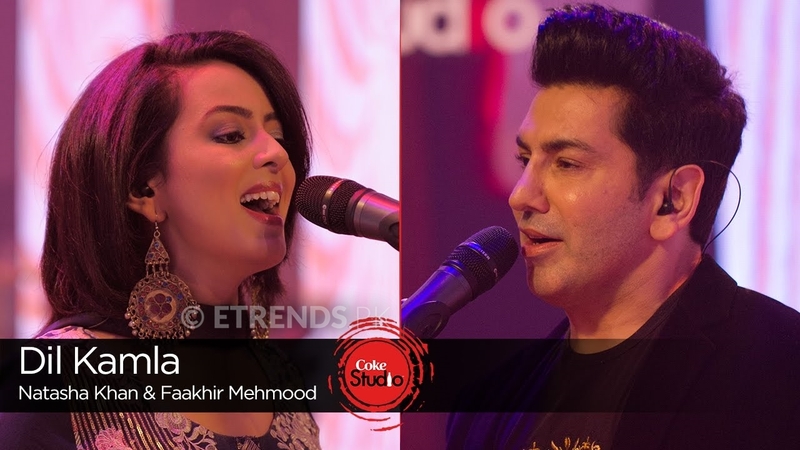 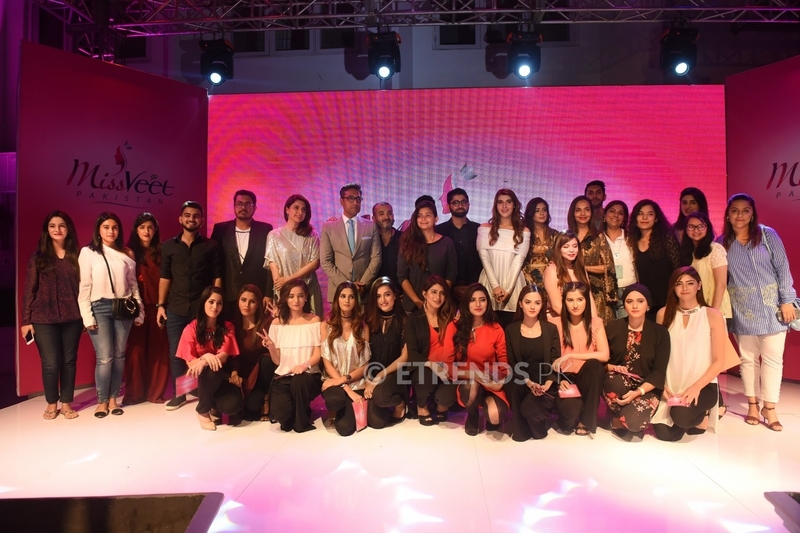 Other selected finalists included, Aiman Shoukat, Hira Khan, Isma Aslam and Nafia Sahar (Lahore) and Komal Sajid, Saira Abid, Tayyaba Riaz and Nimra Khan (Islamabad). 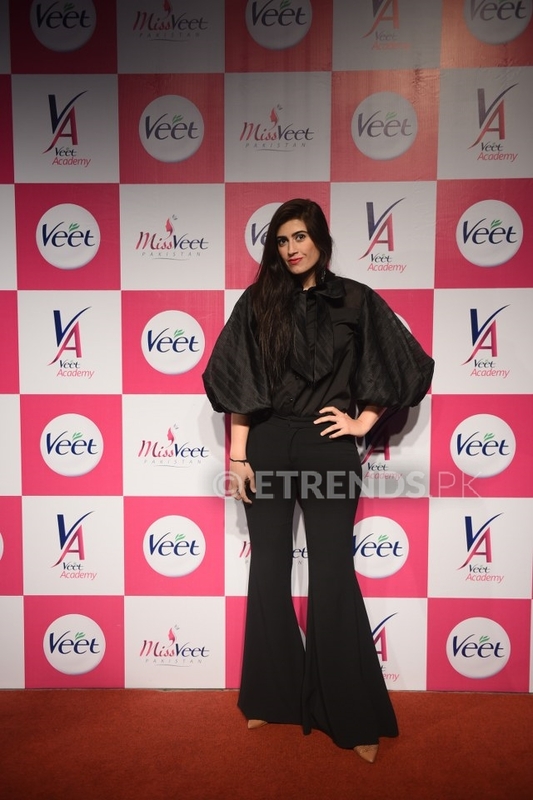 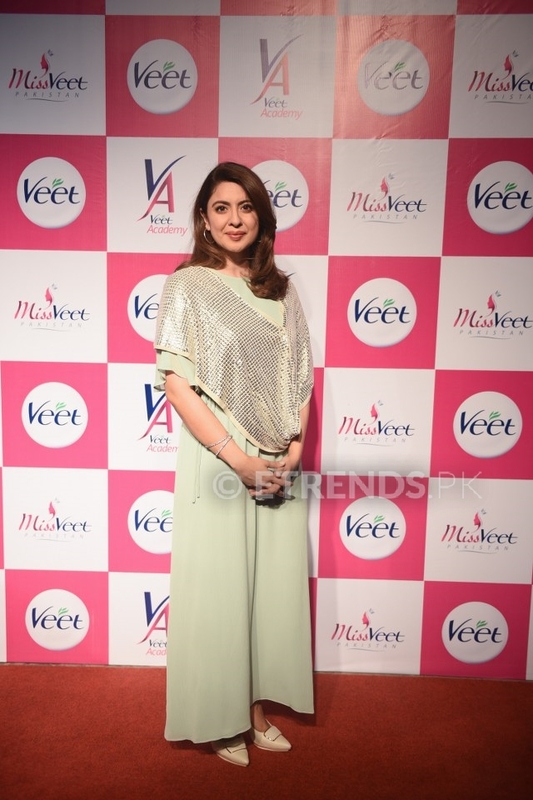 Sidra Iqbal, the Communications Mentor of the Veet Academy opened the show, talking about Miss Veet Pakistan being an initiative taken to fulfill Veet Academy’s aim of grooming over a million girls. 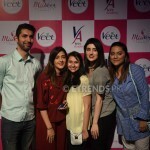 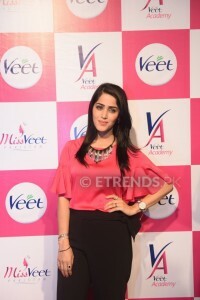 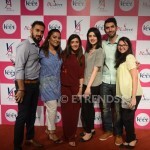 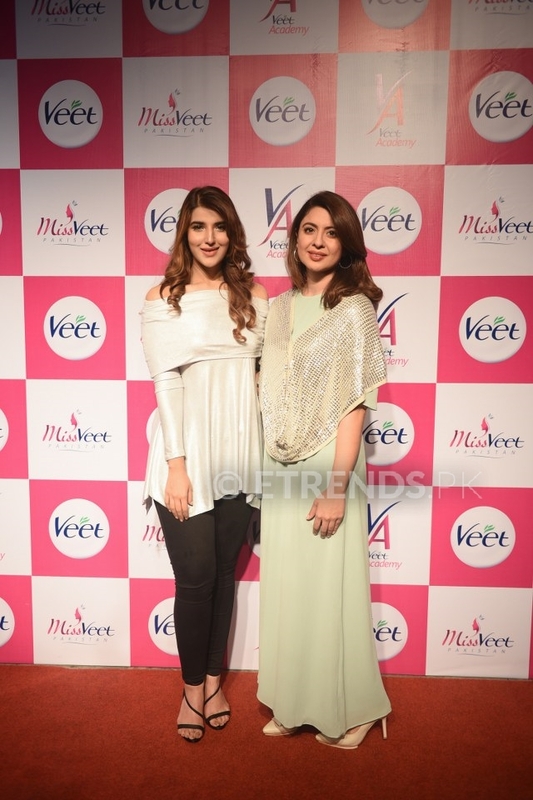 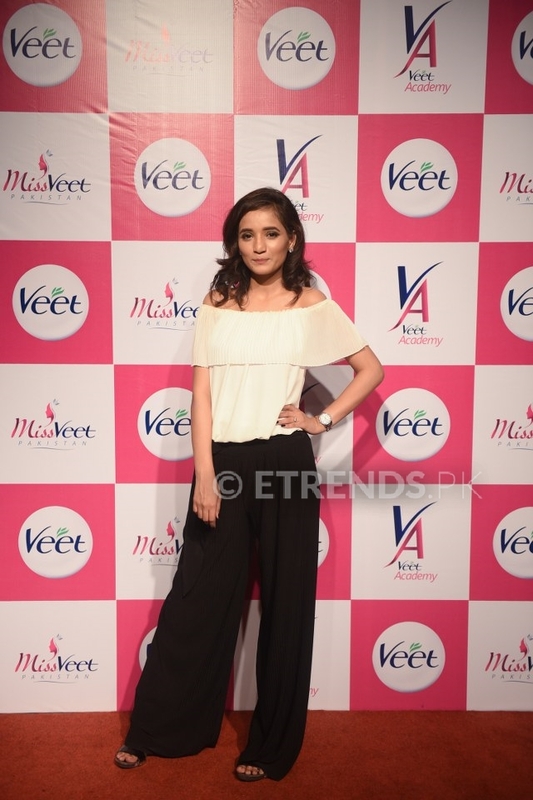 She explained, “Veet Academy is a platform that grooms young girls on the basis of the five Veet Academy values; charm, confidence, intelligence, health & fitness, communication with inspirational women being the representative of each value.” Hence, Mussarat Misbah is a mentor for charm while Sarwat Gilani signifies confidence. 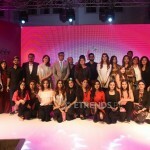 Other mentors include Aamina Sheikh for intelligence, Hareem Farooq for health and fitness and Sidra Iqbal for communication skills. 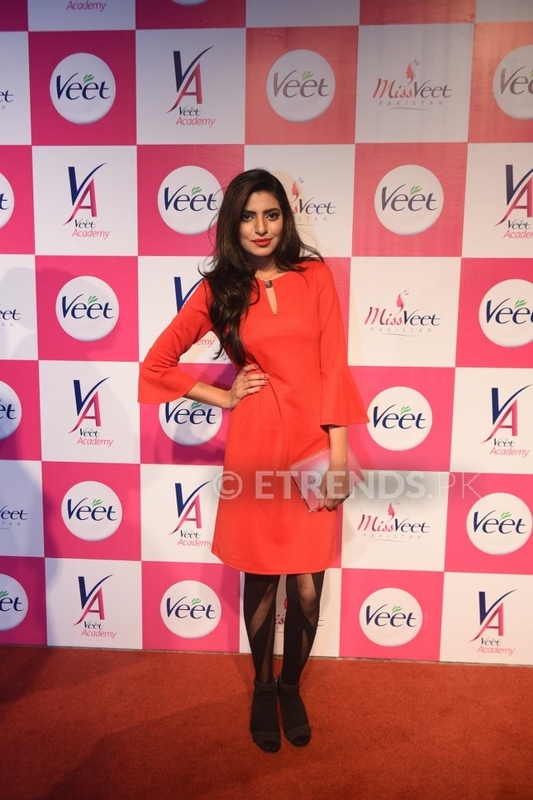 Zainab Raja, the winner of last year’s Miss Veet Pakistan, shared her thoughts about how Miss Veet changed her life and was vocal in passing on her experiential advice to all contestants. 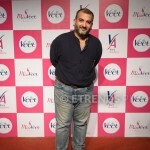 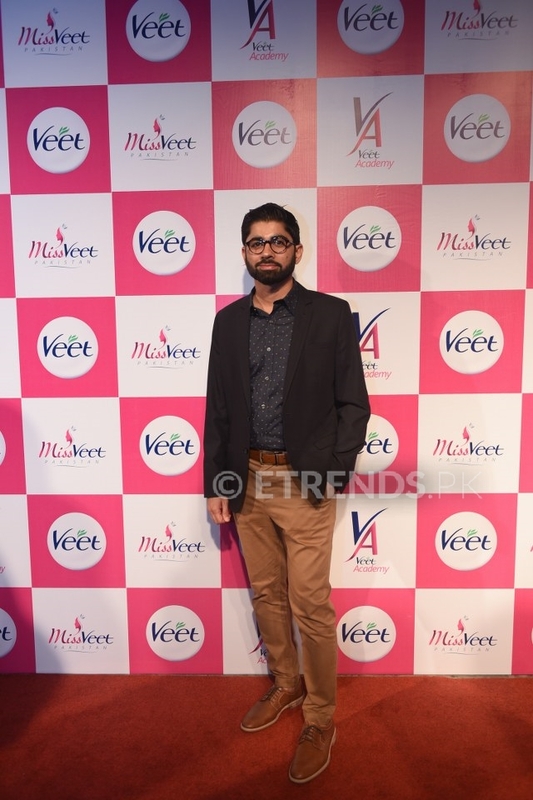 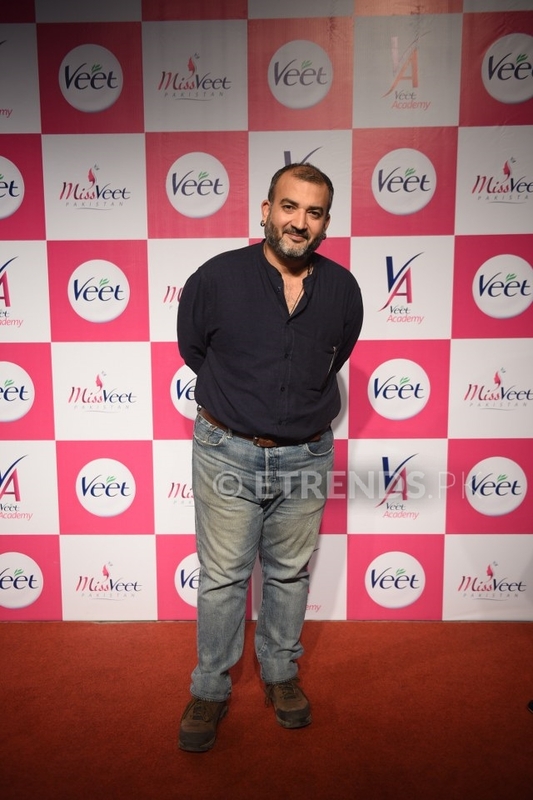 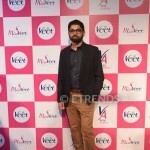 The director of the reality show TV episodes and the song director of Miss Veet Pakistan ’17, Sohail Javed, also spoke of his first stint as a Miss Veet director, describing his experience with the contestants and the show so far. 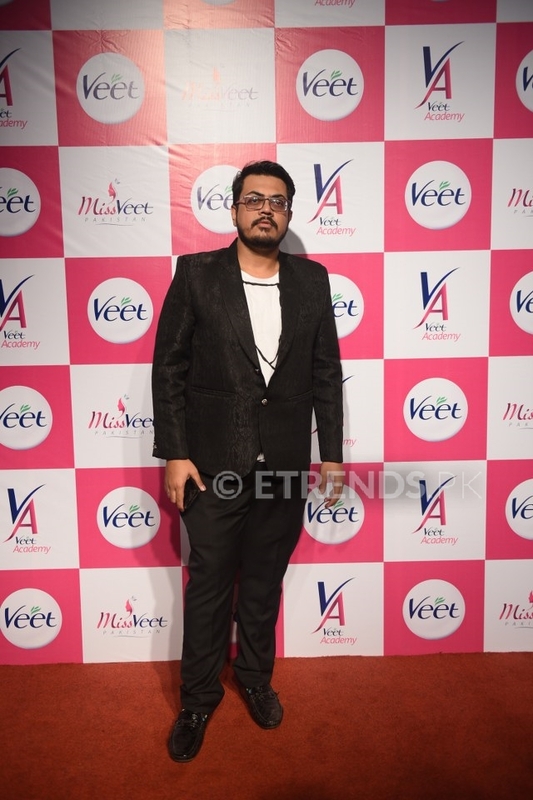 As the evening came to a close, the stirring Miss Veet ’17 song was disclosed, after which the identity of the twelve Miss Veet ’17 contestants was finally revealed. 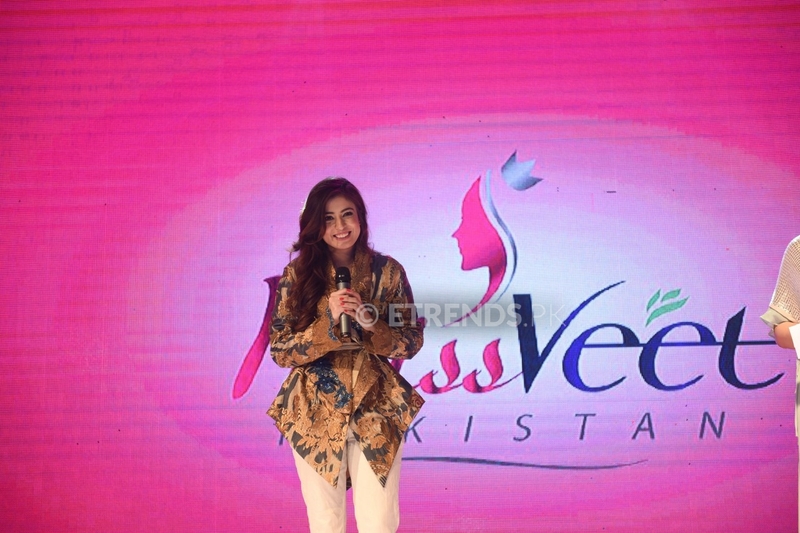 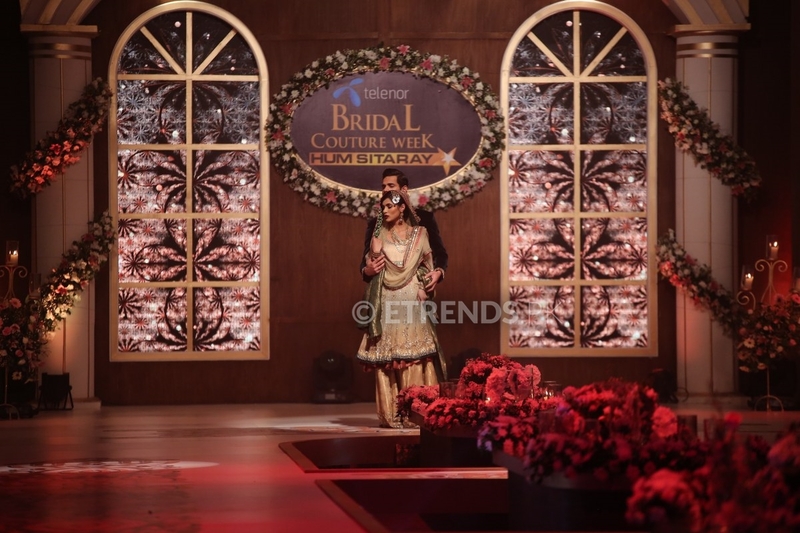 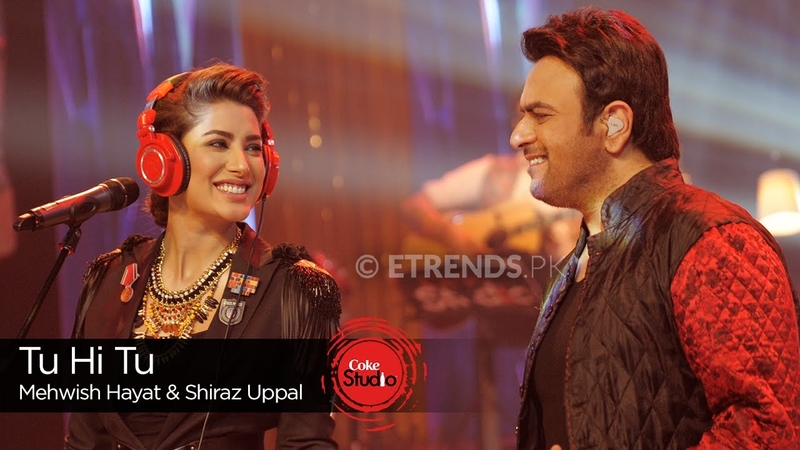 Sidra Iqbal called out to each of the girls as they stepped into the limelight one by one. 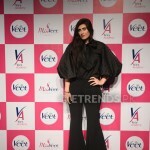 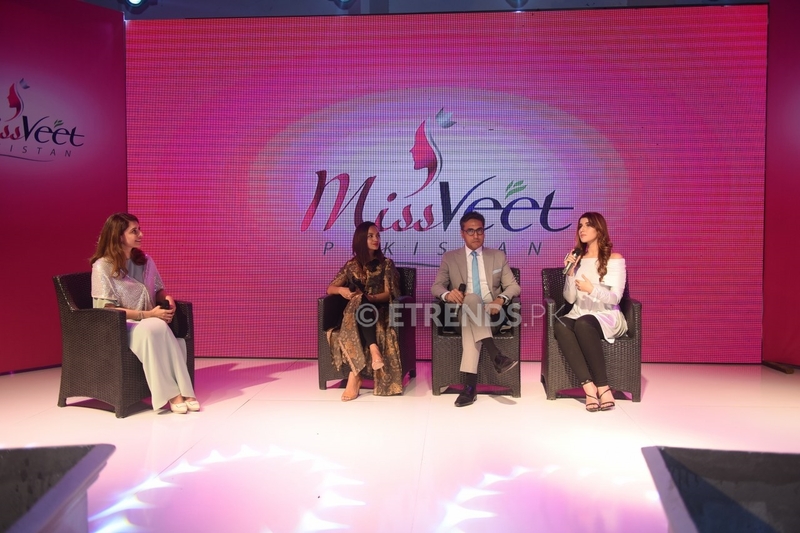 This led to a quick discussion about Miss Veet between Sidra Iqbal and the contestants, which highlighted that the twelve finalists were carefully selected to correspond with all of the five Veet Academy values, that were initially mentioned by Sidra Iqbal. 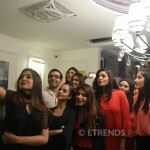 An exciting ‘Never Have I Ever’ game was also played with the girls where each of them held a card and gave answers to fun questions like, ‘Never have I ever dyed my hair a crazy color.’ This gave the attendees a chance to get to know the amusing side of each girl, which was something apart from the basic questions being asked. 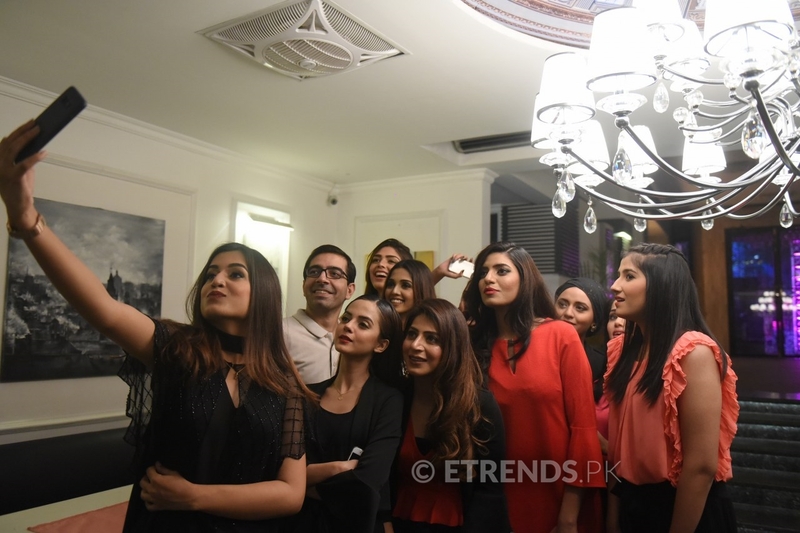 The evening came to end as key media personnel and the contestants were seen mingling with each other. 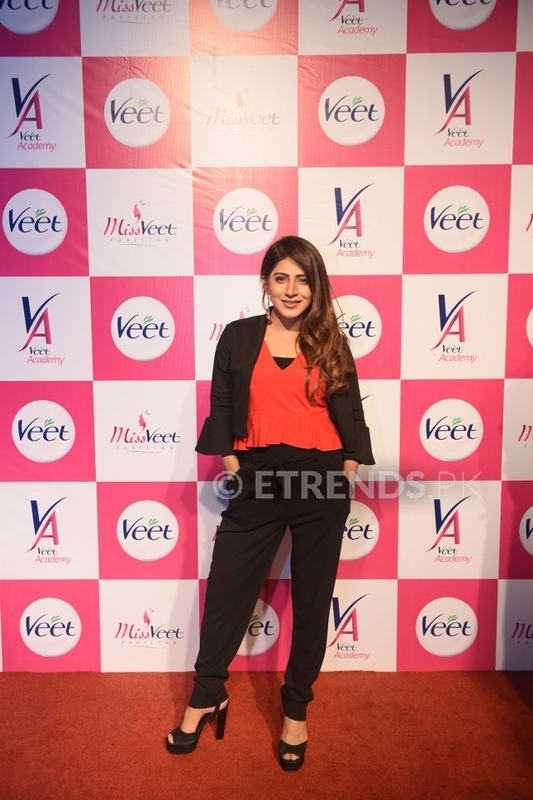 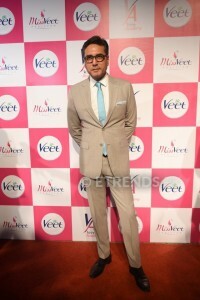 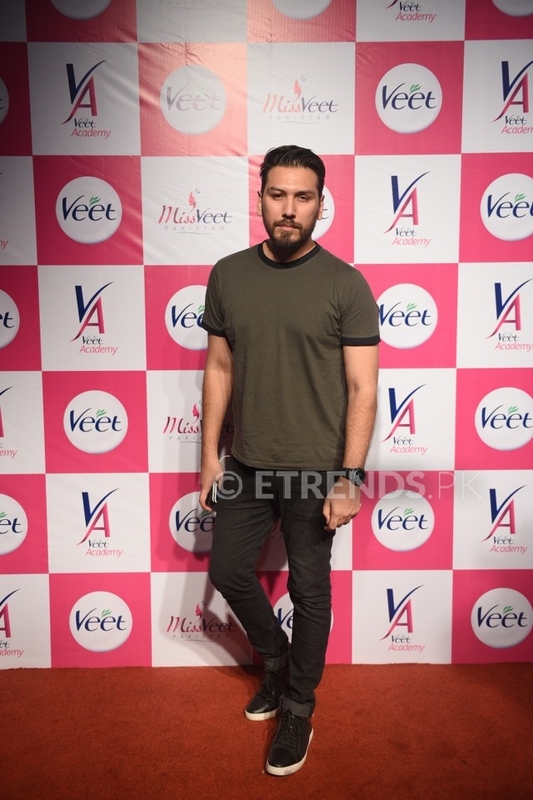 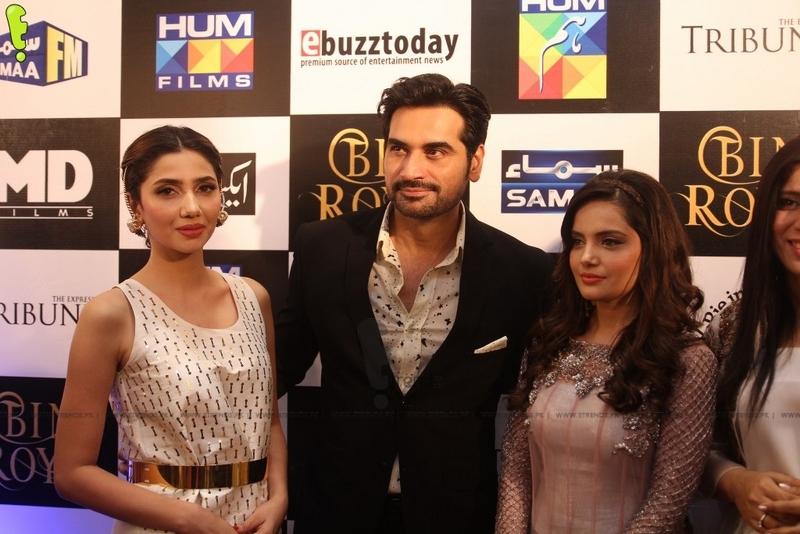 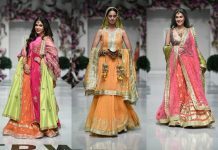 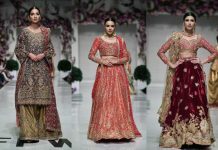 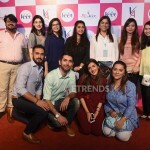 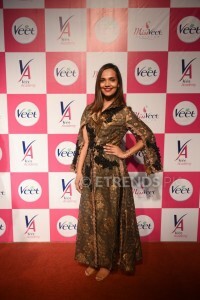 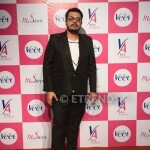 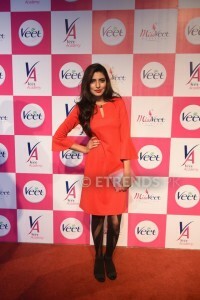 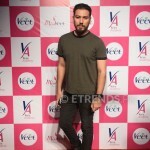 The newly crowned Miss Veet ’17 contestants were the stars of the evening as they interacted with the show director and judges Adnan Siddiqui, Hareem Farooq, Aamina Sheikh and Sidra Iqbal. 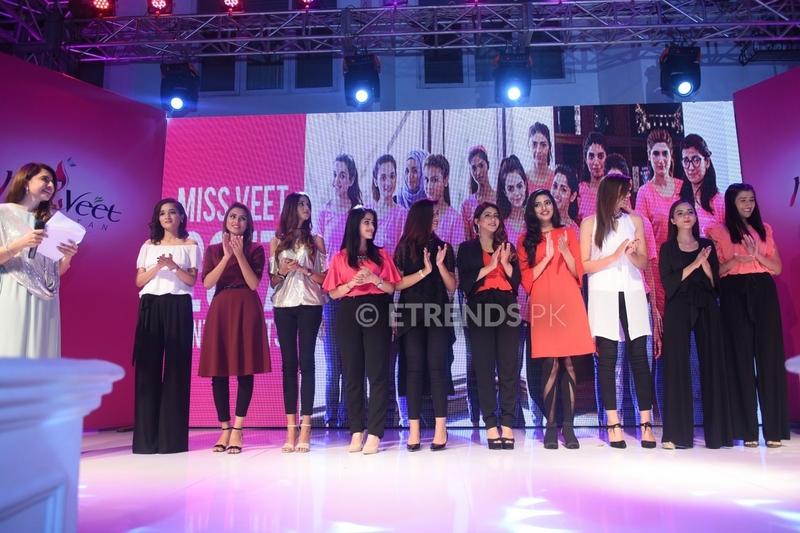 The months of hard work for the auditions and then the final selection led them to their current status as the twelve Miss Veet Finalists and they basked in the glory and adulation that was theirs for the taking. 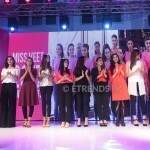 The ultimate prize however, the one title that they all will strive towards will be that of Miss Veet Pakistan for the year 2017, can only belong to one of them. 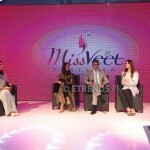 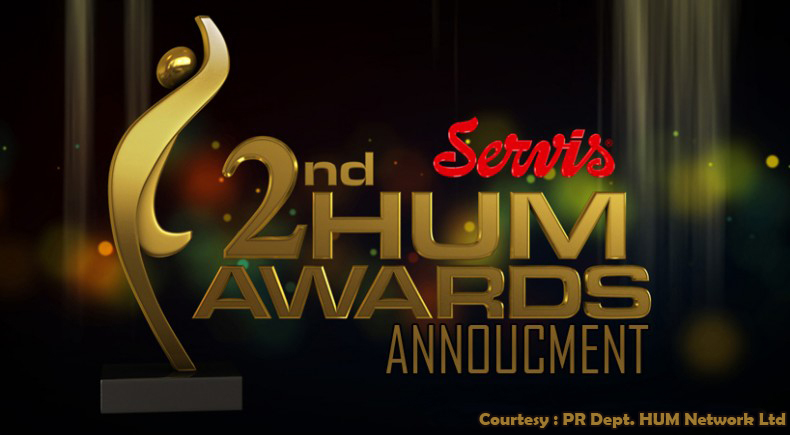 To follow the winner, watch Miss Veet Pakistan every Saturday at 07:30 P.M. on HumTV.